I do not want to judge people, but I got hurt by the actions of one person I consider a friend. Or perhaps she is just so busy with life, and I am just impatient. This friend asked help on her website. I referred her to the person who helped me set up my blog. In time, my web programmer friend was able to detect the problem and was able to clean the blog and recommended solutions. They were still half way through the process, and the blogger friend told me her husband (who is a web designer) might get mad if he learned of her actions asking help from others. I asked her what will be our next action. We both agreed to stop what my web programmer friend has started. But I asked for her kind consideration to pay what is due to the person who helped with her blog. She agreed. Days passed, and payday came, but she seemed not answering my messages. I asked my web programmer friend if he already received payment, and he told me none. I felt sad. I did not expect her to act like that. 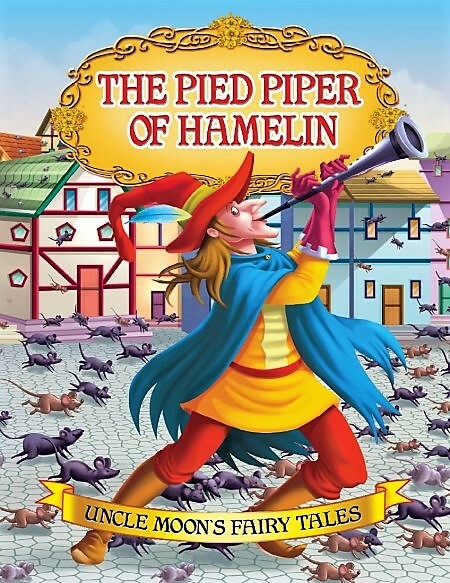 Then I remember the story of the Pied Piper of Hamelin. A long time ago in a town named Hamelin, rats plagued the entire place. Large and fierce rats dominated the area. They crawled on every street, ate the city people’s food, and even bullied the cats. Hamelin was in crisis. The town’s leaders announced that they would give a reward to whoever will solve the problem. At that time, a pied piper agreed to take the proposal. He played a strange yet enchanting tune on his pipe and in no time, all kinds of mice followed him. The Piper reached the sea and one by one, the rats – still mesmerized by the tune- jumped into the sea and drowned. The city was saved from the rats. The Piper went back to the town’s chief and demanded his reward. The leaders though did not pay him and shooed him off. The piper was enraged. He told himself he needed to teach these greedy officers a lesson. He played another tune on his pipe. And the song made all the children of the city follow him until they reached a cave. Fascinated with the music, the kids entered the cave and once inside, the Piper closed the cave with a big rock. A lame little girl and a nearly deaf boy escaped this fate. They told their parents about what they have seen and the parents, in turn, went to the town’s leaders for help. The officers begged the pied piper to release the kids. But the piper was too keen on his demand to get his reward first before setting the children free. The leaders learned their lessons the hard way. They gave the prize to the pied piper and the latter set the kids free. He left the town for good. It was a lesson to me as well. That despite the ugliness of the world, I should never lose hope. There are still so many beautiful people around making life meaningful despite the despites of. I am sorry to this blogger for thinking ill of you. But I hope you communicate properly and give what is due to the person who somehow helped you. Its just sad to hear that there are so many unprofessional people who cannot give proper respect for fellow professionals. There will always be people like that. Its hard to agree with the lesson from the tale but it is the way of the Lord too. To forgive and to understand no matter how bad they treated us. We need to stand out and make a difference. Your web programmer friend’s brain has been created by his creator, to be morally right. In times like today, to have such wonderful thinking, I’m sure that person is very blessed. But, I guess at a professional level, one must start charging 70-80% fees in advance. If I were him, or you, I would keep friendship and business separate. What’s professional, remains that way!! But your friend’s response was really commendable. Its so sad that some people just don’t bother and take advantage! Esp its a trouble for budding entrepreneurs whose income depends of payments like this! It happened with me too once in the beginning of my career. I did designed without taking advance for a friends and he just turned down the design and didn’t bother to pay for my efforts! I hope this blogger friend doesn’t do it again. It has been seven months when a blogger approached me and borrowed money to pay for dengue hospital bills. Husband later told the wife, also a blogger about it. To this day, I have not been paid. There were previous promises, broken again and again, so I am not even sure if it will happen this week, as I was told. So, there are people like that. Well, to be honest, this is so brave of you to share this story. I find it so inspiring because even if there are so many evil in the world, there are still good people in the world. Your web programmer friend has such a kind heart. He/She’d rather be unpaid than to do some harm. I am amazed at how your programmer friend handled this with compassion and kindness. Bless his forgiving heart! Honestly, I would have reacted differently. My reaction and next course of action would be MUCH WORSE. I still think he should get what he deserves though. That blogger will get what he/she deserves (karma) if he/she does not settle this. That is one of the reasons why I don’t get involved when friends ask me to put them in contact with my contacts. I have had this happening to me before and I was the one in the middle. And I did feel bad because I was the one recommending that person and they simply let down. An example is when I recommended a friend for a job that was opening at the company I was working for. She showed up for 3 days, received the training, and then bailed. She didn’t even said that she didn’t like the job, she simply didn’t show up for work. When I asked her why she said her mother was not allowing her (it was a tv monitoring position, so nothing to be ashamed of). That thought me not to recommend friends anymore. The TV Show “Silicon Valley” is about a new start-up called Pied Piper. But to be honest I never knew the story. And I don’t see link between the story and the start-up for now, if there is any, despite the logo. But it’s a great story, and despite the fact that some people might be taught a lesson, it can be in a different way than this one. What your friend said about being a programmer is so true. In the end, what matters is our actions, and we decide to harm or not. Like you, I think there’s still amazing people that try to make things better. That is sad. I hope that blogger still chooses to pay even though it has been delayed. But I agree with your web developer friend. We should not let the bad actions of others change our good character. This is really sad. I keep on encountering such situations as an entrepreneur. But I disagree with your web designer’s assessment of the situation. He would not have been punishing the errant friend, he would have rather taught the greedy guy a lesson and saved others from cheating. We should be clear in the perspective. What is the errant person is busy cheating a whole lot of others at this time? Such sad thing to have happened. But the heaven and earth must have heard my plea. The blogget friend contacted me already and paid dues. I must have been too impatient. In fairness to the blogger, she already communicated and paid. I was just too impatient perhaps. I, too, would want to help other friends or bloggers but when I feel that the person seems to be abusive or has no sense of responsibility, I get sad, too. Your web programmer friend has a good heart. I hope that your blogger friend will realize what has been done and give your other friend what is due. Sometimes, things are not indeed fair in this world but I try to stop myself from getting even by causing harm on others. Thank you for imparting this lesson to us.